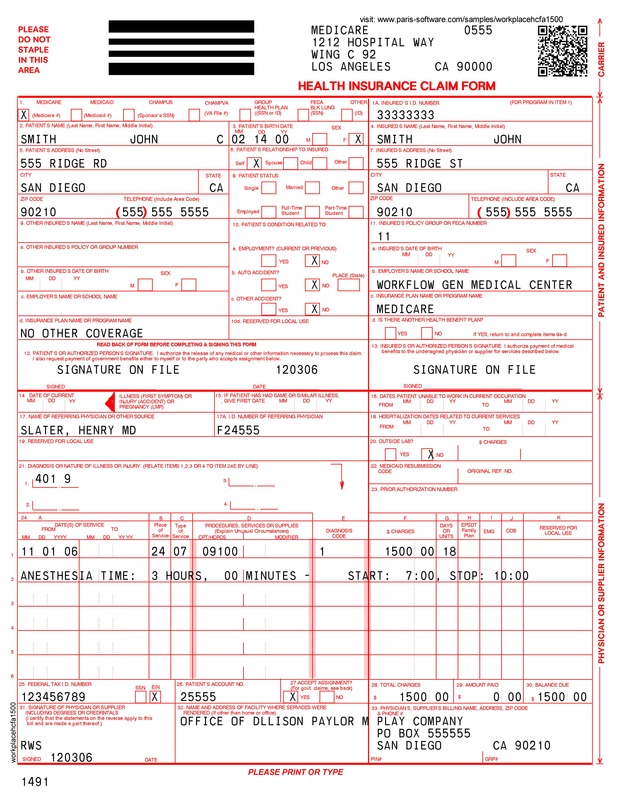 The HCFA 1500 form (also known as the CMS 1500) is used by healthcare service providers to claim reimbursement for costs from insurers including Medicare and Medicaid. Save costs and effort by replacing expensive pre-printed stock with plain paper and print terms on the reverse. Print the form in red to aid data capture during processing. Avoid alignment issues by printing data and form in the one pass for precise positioning of variable data on the form. Recreate and maintain the HCFA 1500 form in Paris for accuracy and compliance, including terms on the reverse. Position variable data at the same time for precise positioning. Connect directly to your EHR system for seamless integration.